Probiotics 101: Why the Health Craze is Worth Following – New Earth Blog Events | New Earth - Life Starts Here. Living Begins Now. Are you aware that bacteria keep you healthy? You have most likely heard about the gut microbiome, the trillions of microorganisms living inside your body. These microbes are essential to life as they outnumber your body’s cells by 10 to 1. There are different types of microbiome, and they can be either good or bad. Keeping your microbiome levels well-balanced is essential as the good bacteria work hard to keep your body healthy. However, having a high level of the bad bacteria inhibits the good bacteria from doing their work. Fortunately, you can increase the level of good bacteria by consuming probiotics (good bacteria). Probiotics are present in yogurt and other fermented foods, and they stimulate the production of enzymes that help in the conversion of food into important nutrients, enhance absorption of food, and synthesize vitamins. 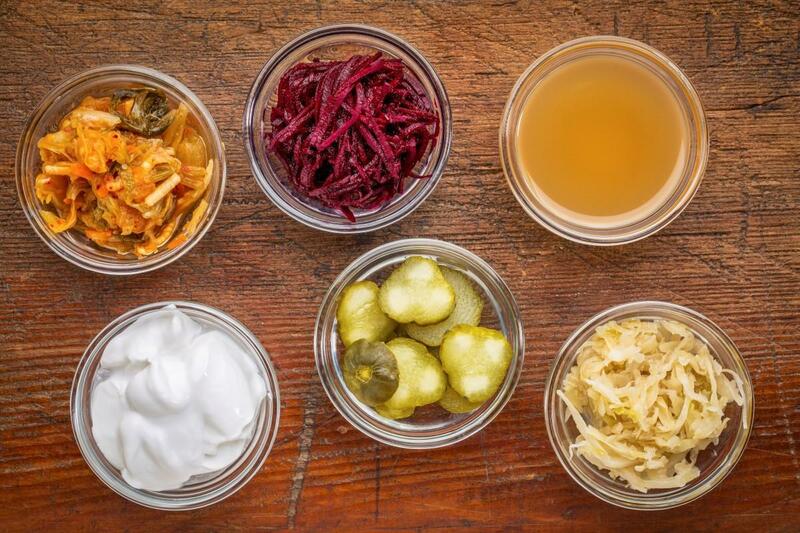 Without probiotics, our bodies wouldn’t be able to digest food properly. Apart from digestion, they defend our bodies from illness by boosting our immunity. They do this by breaking down the allergy-causing protein, blocking toxins, and crowding out the harmful bacteria. Digestive experts recommend having a balance of 85 percent good bacteria and 15 percent bad bacteria. When the ratio gets out of balance, it will affect you in a negative way. Researchers have conducted several studies on the benefits of probiotics on various health problems. Through this research, several benefits have been identified including improved digestion, improved immune function, and improved skin appearance. With 80 percent of your immunity found in your gut, probiotics heavily assist with your immune function. Most of your immune cells are located in the intestinal tract, and probiotics will help boost your body’s immunity by preventing the growth of harmful bacteria in your gut. Additionally, some of the bacteria in your gut promote the production of antibodies which boosts your immune cells such as the T lymphocytes, lgA-producing cells, and the natural killer cells. Probiotics can also help improve skin appearance. The skin is the largest organ, and it is the first line of defense against external pathogens. However, most of us don’t know that the skin reflects our internal health. Skin problems are often caused by immune system disruption, as well as nutritional and hormonal imbalances. Keep in mind that all these issues begin in your gut. Luckily, probiotics help in better absorption of nutrients and support our immune system response which leaves the skin healthier. Although most people taking probiotic supplements have reported beneficial effects, not all of these supplements are created the equally. In fact, most of the supplements you will find out there won’t survive your stomach acids and make it to the gastrointestinal tract alive. However, Acidophilus and Bifidus are different. These products are filled with beneficial bacteria that are cultivated to promote intestinal health. Consuming the right supplements ensures that the good bacteria are where they should be, and help improve your health allowing you to live a vibrant life. Copyright © - New Earth Life Sciences, Inc.